Thank you for wanting to help save a life! Please fill out this application as completely as possible; this will help us determine if this is the right pet for your home. PLEASE PLEASE PLEASE check your E-mail address before submitting this form. We are receiving many addresses that are typed wrong. Due to the large number of applications filled out by children or people who aren’t serious about getting a pet, valuable time is being taken away from the pets in our care. To alleviate this problem, there will be a $10.00 application processing fee due to Pet Pals, Inc. If the pet you are applying for is no longer available due to a previous application in process, the pet won’t work in your home, the pet has developed health issues or other reasons beyond your control, your processing fee of $10.00 will be refunded. Please note that filling out this questionnaire is not a reservation or guarantee of a pet. 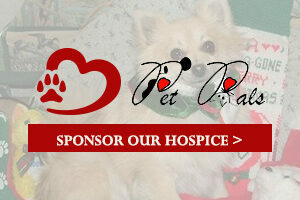 Our requested donation amount for a pet may be high depending on vet fees, age and breed. If you are applying for a specific breed of pet, call your local pet shop and see what they are selling them for. Our requested amount will be equivalent, but remember our pets will be healthy, spayed or neutered, vaccinated, wormed AND microchipped. You may also return the pet within 30 days for a full refund which you cannot do at most pet shops or shelters. We do not encourage returns due to the stress on the pet. However, if the pet doesn’t work out in your home, it MUST be returned to us. PLEASE think about this BEFORE filling out an application OR calling. AGAIN—THINK about your lifetime commitment before you submit this application. We do NOT adopt out 4-H projects. We have several here who were dumped when the “projects” were over. What will you do with this pet when your child leaves for college? YES, dogs will dig…..they’re dogs! YES, cats will meow….they’re cats! They WILL need a life time commitment from an adult. This includes expenses like vet care. Many times pets become depressed when their family/environment changes. You will need to spend time reassuring your new family member and give them time to adjust. We have known some pets to take 2-3 weeks to adjust. Have you researched this breed? If living with someone, what is their name? Do you consider yourself/family to be active in such a way that it would include your Pet? How? If yes, please fill out the additional section. How do your dogs get along with other dogs? Is/are your pet(s) neutered or spayed? Is fence completely enclosed on all sides and also attached to the house? What kind of shade or cover is in the enclosure? What kind of accommodations do you have for the dog in the cold? Do you have a dog door into the house or garage? Any problems with neighbors currently? If not, please send a letter of permission from your landlord stating you are allowed pets. Give landlord's name, address and phone number. How old are any children who will be in contact with the dog? Do all parties (if more than one adult in house) want a pet? Are you willing to give the new pet at least a one month trial to ensure proper adjustment? What would, in your opinion, constitute a reason for not keeping the pet? In case of an emergency who will care for your pet if you're unable? Any other questions about the breed we can answer? Have you ever applied for a pet from us or another rescue before? Would you consider a second pet at a future date? * IF for ANY reason, the adoption does not work, the pet is to be returned to Pet Pals, Inc. 307-532-3861, at ANY age. There will be a $1,500 recovery fee PLUS court costs due from you, if the pet is not returned to Pet Pals, Inc. and you re-home the pet or turn it into another facility. * IF the pet is found to be neglected in ANY way, your signature gives Pet Pals, Inc. of Goshen County FULL power to reclaim the pet. **This includes not having ALL of your pets spayed or neutered. **It is neglect if your pets are not kept current on vaccinations. **Your pet(s) are to be kept under control. No, letting them run "free". **Letting your pet ride unsecured in ANY vehicle is dangerous. Please bring a crate or dog seat belt with you if your application is approved. *Not keeping ID on your pet at all times. * IF you are adopting a pet which we could not alter for health reasons, you will have it spayed or neutered within six months or pay all costs incurred in having it returned to us. * We want to be as certain as possible that the animals that we adopt out find RESPONSIBLE and LOVING homes. * We reserve the right to refuse an animal to anyone. 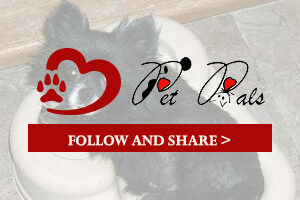 *The Microchip registration remains in Pet Pals, Inc.'s name. * We will not be held liable for any injuries or damages caused by this pet. * We cannot guarantee the health of an animal and are not liable for further veterinary costs. Check with your veterinarian as to vaccinations and tests required in your area. Every reasonable effort is made to screen each pet for health and temperament problems before making the pet available for adoption through Pet Pals, Inc. However, Pet Pals, Inc., its officers, board of directors, and agents cannot guarantee the health or temperament of the pet available for adoption other than what is known at the time of adoption. Pet Pals, Inc. assumes no liability for any problems arising from an adopted pet in the future. Our mission is to achieve a humane existence for animals and reduce the number of stray and unwanted animals. We provide spay/neuter clinics, educational programs for the public and schools, nursing home pet therapy and work with other shelters and rescue organizations in the transport and saving of lives. When animals can’t be adopted due to medical or emotional reasons, we keep them with us and make sure that no one gives up on them again!